To ensure a sound ecological environment in Bastrop County that serves the needs of the natural and human communities by protecting and enhancing the land and water interaction as measured by water quality, aquatic and wildlife habitat parameters. 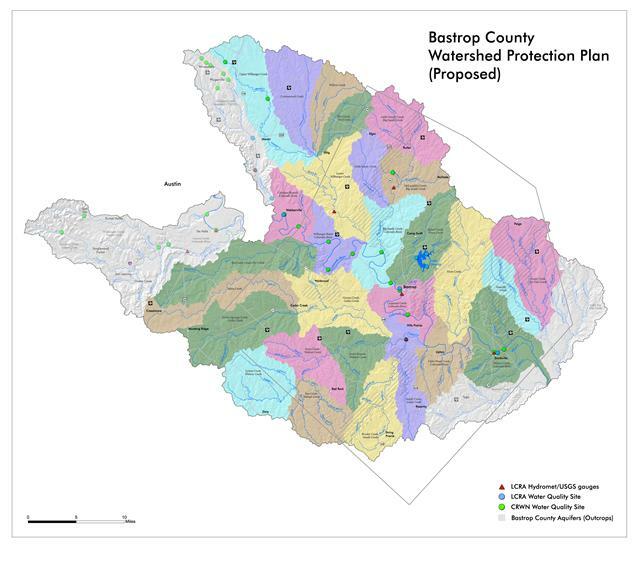 To assemble and inform a stakeholder group in the Bastrop County reach of the lower Colorado River basin capable of developing a Watershed Protection Plan (WPP) that pro-actively protects and restores the watershed. Lacking a coordinated effort to protect the watershed, Bastrop County’s streams will likely experience impairments due to bacteria, nutrients and/or low dissolved oxygen in the same way numerous watersheds in Austin/Travis County have experienced. Currently Gilleland Creek which runs through Pflugerville in Travis County is under a regulatory mandated process to correct bacterial impairment that has resulted from growth and development over the last several years. Environmental Stewardship’s Executive Director has served as a stakeholder on the Gilleland Creek stakeholder group since 2007. Click here to learn more about the Gilleland Creek project mandated by the United States Environmental Protection Agency (EPA) and the Texas Commission for Environmental Quality (TCEQ). Lower Colorado Regional Water Planning Group “Region K” – One of 16 Regional Water Planning Groups charged by the Texas Water Development Board to develop water plans for their respective areas to ensure that the water needs of the region are met into the 21st century. The plans map out how to conserve water supplies, meet future water supply needs, and respond to droughts in the planning areas. The regional plans roll up into a State Water Plan. Colorado and Lavaca Rivers and Matagorda and Lavaca Bays Environmental Flows Stakeholder Group – Established by the Texas Environmental Flows Advisory Group to recommend “instream flows” needed by the rivers and “freshwater inflows” needed by the bays and estuaries to maintain these systems as ecologically sound environments. (Appointed September 2009). Lost Pines Groundwater Conservation District – The District was established by an act of the legislature to protect and manage the groundwater resources for the residents of Bastrop and Lee counties. As one of five members of Groundwater Management Area 12, they are charged to develop “desired future conditions” for the groundwater resources underlying all or part of 14 counties over the Carrizo-Wilcox and other aquifers. Gilleland Creek TMDL Implementation Plan (TCEQ website) – An EPA/TCEQ mandated regulatory action to correct bacterial impairments in the Gilleland Creek watershed. 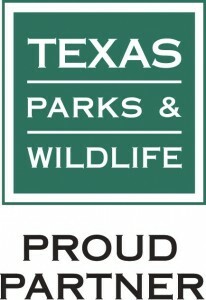 In 2004, the Texas Commission on Environmental Quality placed Gilleland Creek on its list of impaired water bodies for elevated bacteria levels. Section 303(d) of the federal Clean Water Act requires remedial action to improve water quality in impaired streams and achieve compliance with water quality standards. A Total Maximum Daily Load (TMDL) study was done to determine the sources that contribute to elevated levels of E. coli bacteria through water quality monitoring and guidance from Gilleland Creek Stakeholders. In 2007 a stakeholder process was initiated to develop a TMDL Implementation Plan. The Plan, when finalized, will describe regulatory and voluntary actions that are necessary to reduce E. coli levels in Gilleland Creek. The Gilleland Creek TMDL Implementation Plan will likely be published in the fall of 2009 and will include both point and nonpoint-source pollution controls. This project marks the first step in the process to improve water quality of Gilleland Creek and comply with State and Federal laws. The Central Texas Greenprint for Growth, Conservation & Economic Opportunity Project (ECT website)– An initiative by the Capital Area Council of Governments, Envision Central Texas & the Trust for Public Land Greenprint to develop opportunity maps for Bastrop County for each of six community goals. The maps serve to identify conservation opportunities and are useful to decision makers as the guide infrastructure development away from sensitive areas such as aquifer recharge zones and endangered species habitat while meeting other community goals. Phase V – Evaluate Progress and apply adaptive management.